A leading online casino software provider BetSoft took a dive into the world of neon colors, giggling faeries and lovely music to bring us a brand new action-packed slot that will take us on an unforgettable journey through the enchanted forest. BetSoft’s latest release introduces us to an amazing world of the mysterious forest set against a five-reel grid filled with faeries and nymphs. This medium volatile slot with RTP of 96.03% has a coin range from $0.10 to $5 and is possible to wager on ten different levels. If you are lucky enough you can land five Wilds and collect a 5000-coin jackpot. This basically means you can get paid as much as $25,000 for a single combination or about 500x the stake. Faeries are not just the different way of spelling fairies but also the adult and more mischievous version of the small creatures that we have to deal with as the high paying symbols. Other symbols include nature’s elements like small insects, toadstools, large trees and their spirits. The Guardian wild symbol can appear anywhere on the reels and rewards for at least 3 on a line. It can replace any symbol bar the Scatter and Faerie Queen to form more winning combinations. Landing 3, 4 or 5 scatters will bring you between 5 and 15 free spins. When the toadstool symbol appears on the reels while the Queen Faerie is present, you win a cash prize which increases in value proportionally to the number of toadstools. 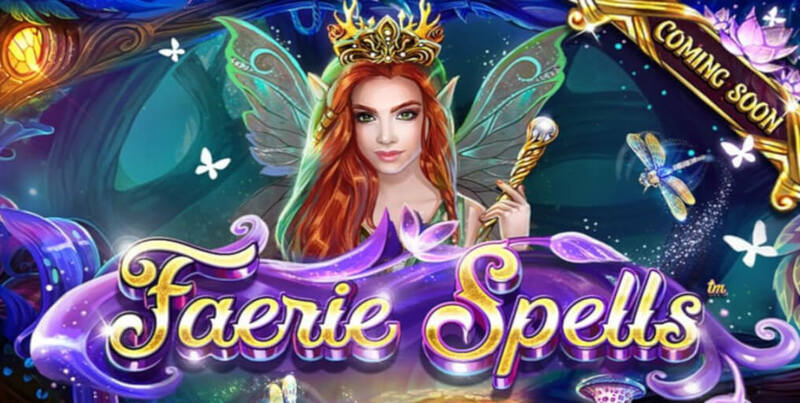 This fantastic slot also offers Double Up Faerie Magic feature with a chance to double your winnings after a winning spin. You can gamble half or the full amount by simply predicting the result of a coin toss. Progressive Jackpot is Here as Well! BetSoft really knows what they are doing since they inserted a progressive jackpot feature in this mesmerizing slot. The feature can only be triggered during the free spins and you need to collect the jackpot symbols of the same kind, Plenty, Luxury, Wealth or Riches. When you collect the right number of the same jackpot symbols, the corresponding jackpot will be awarded. If you are tired of waiting, you can simply buy your way into 25 free spins game and try to land a jackpot.